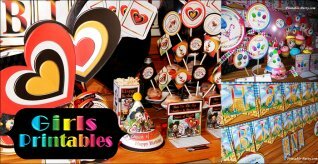 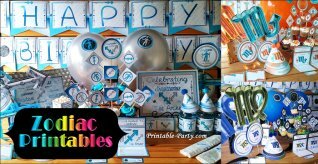 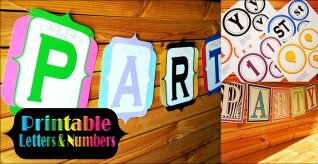 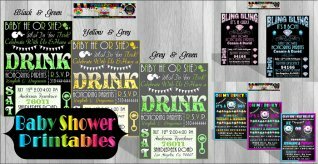 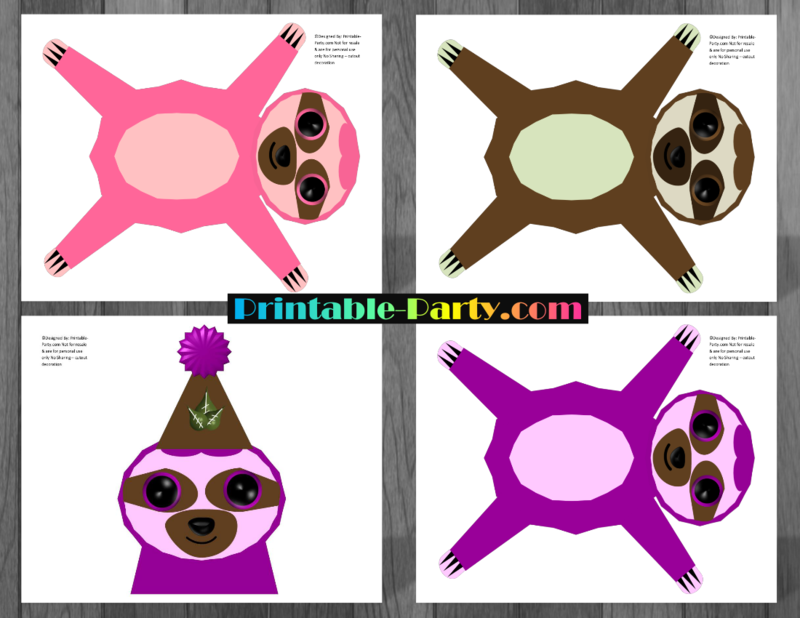 Printable sloth girl party supplies and decorations, that you can use to create a fab & stylish looking celebration. 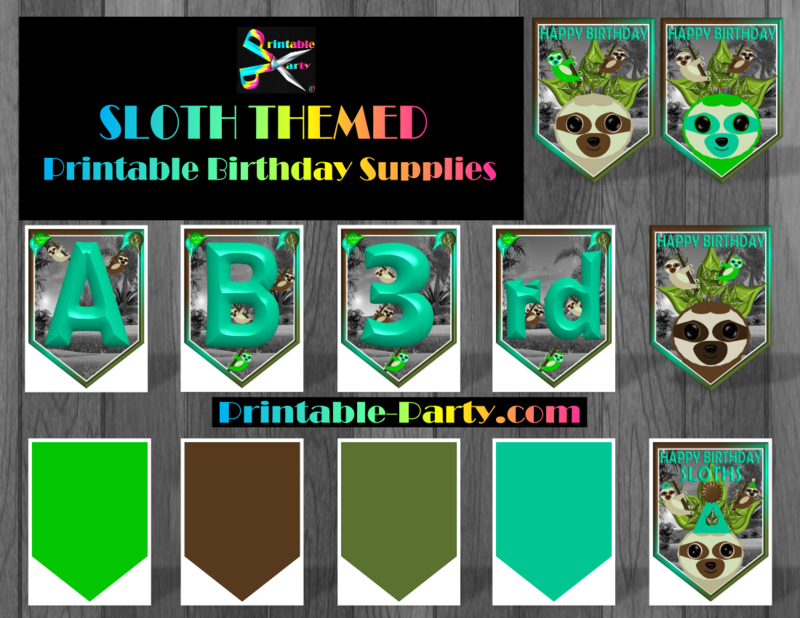 This printable sloths animal themed kit is hand designed with brown, purple, pink, & olive green, colors for a cool completed look. 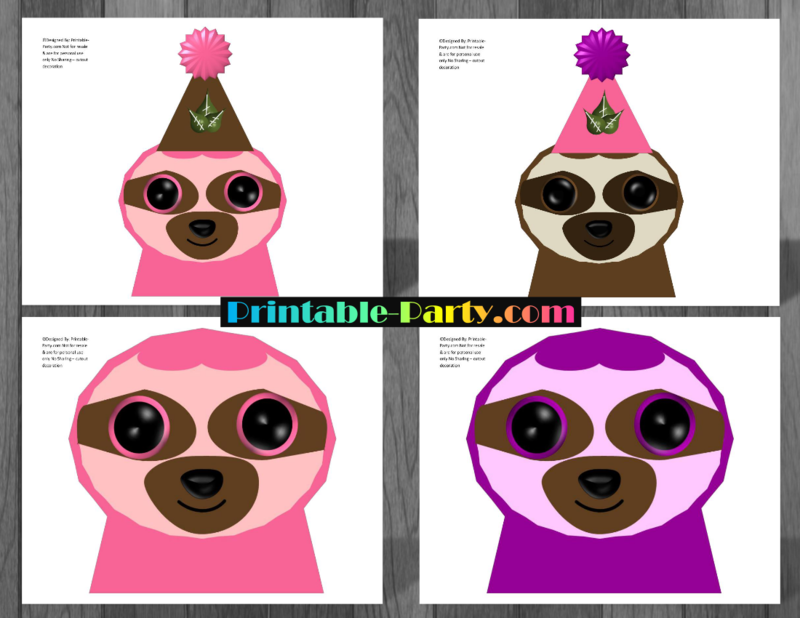 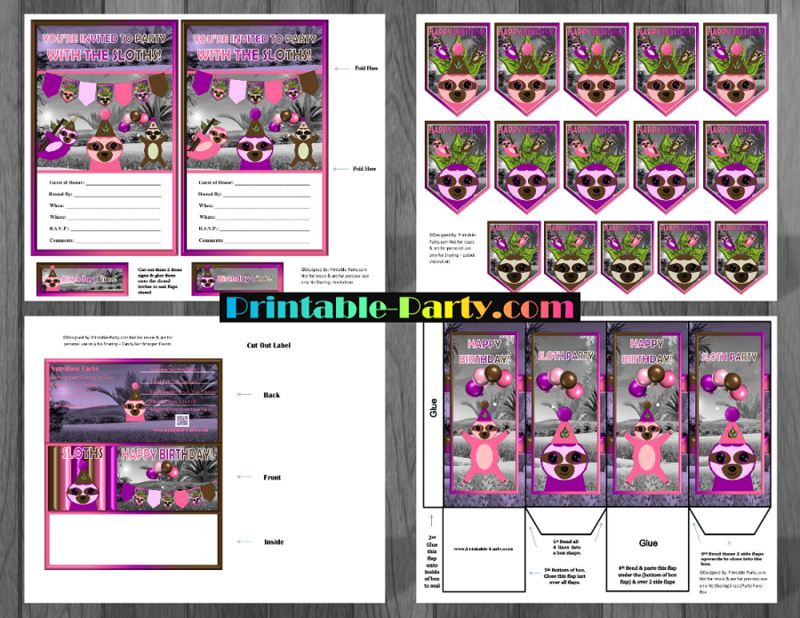 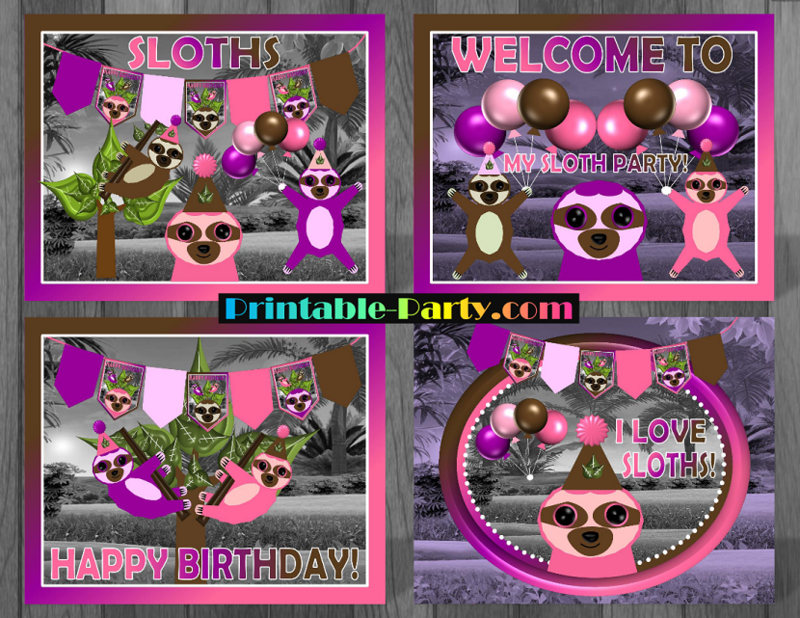 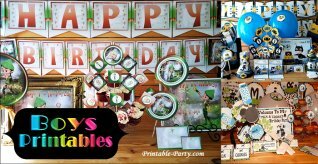 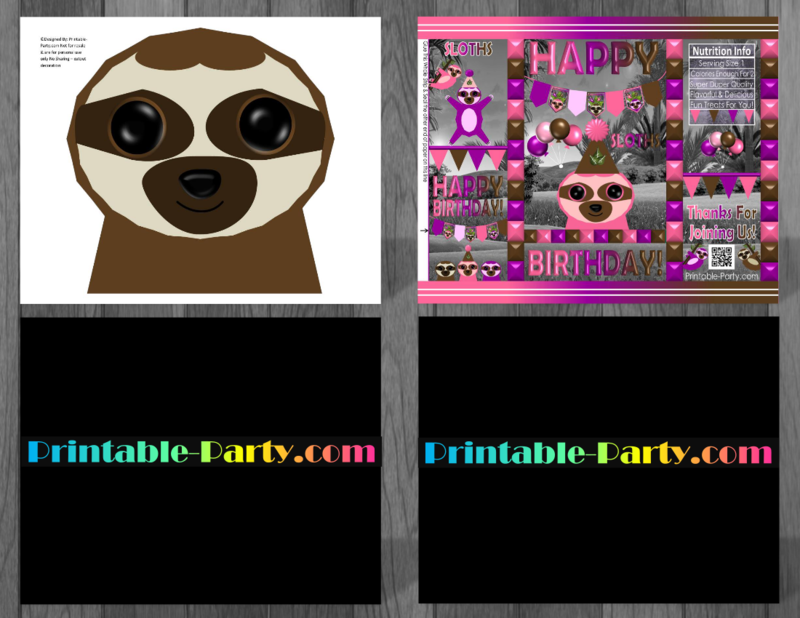 This sloth girl birthday party decoration pack is printable, and would be awesome looking when placed around themed featured party tables, & guests areas. 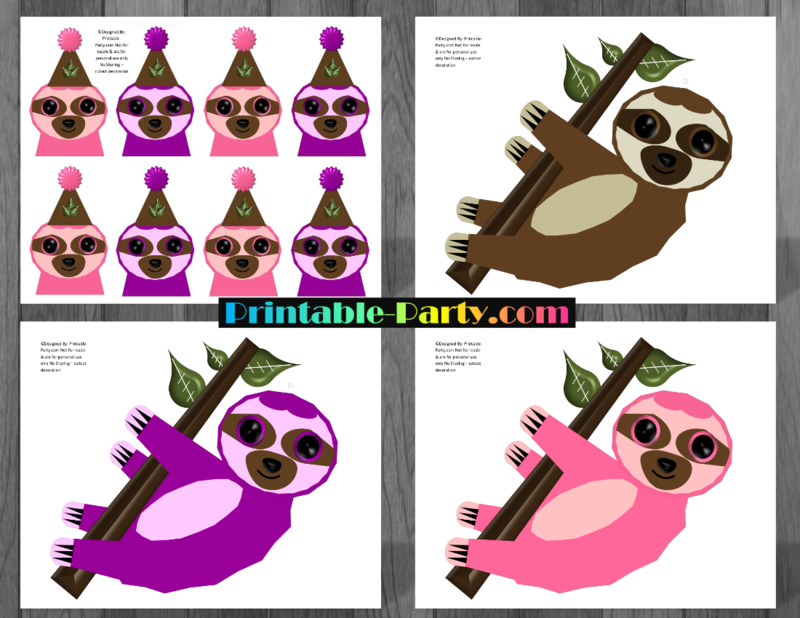 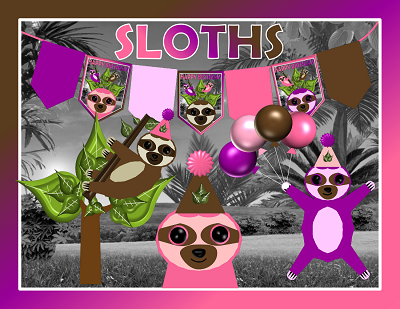 Our sloth party theme idea is made cute graphics of sloth party banners, balloons, trees, sloths, party hats, and cool blended colors. 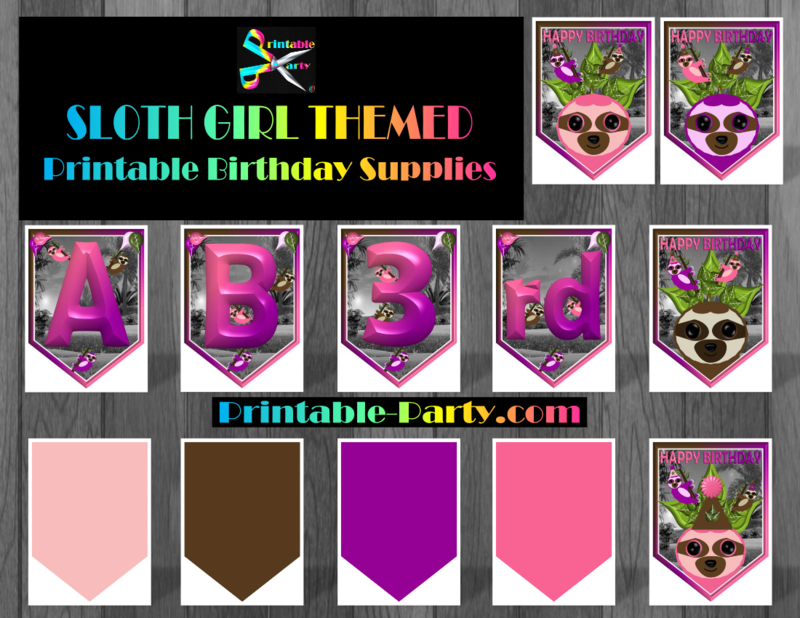 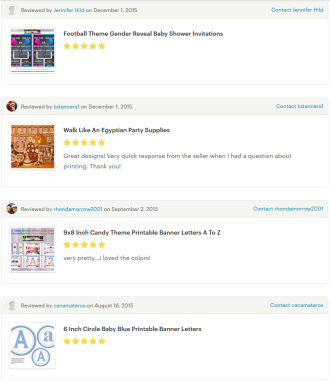 Your sloth theme birthday celebration can stand out with the use of this sloth girl party theme.